What to consider when selecting an Apple Watch. Picking an Apple Watch used to be a little complicated, with various different case materials, bands, and style. 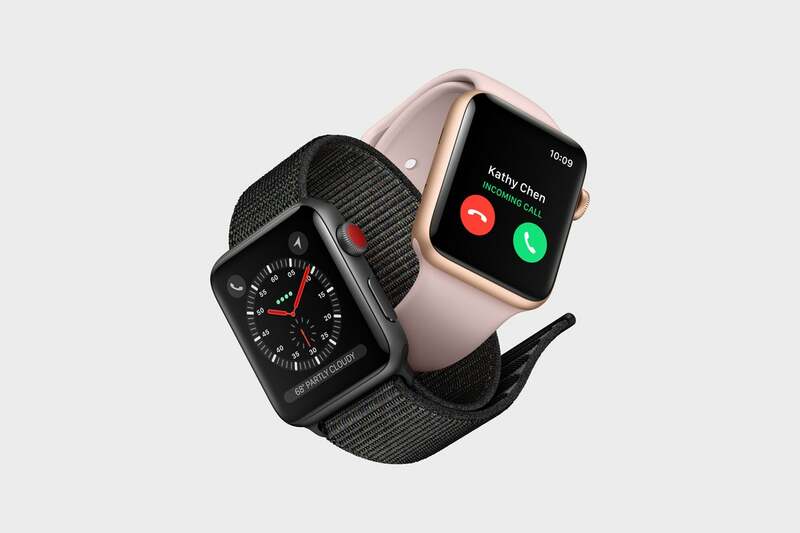 Now, Apple has become more focused with the Apple Watch, which means that the selection process is a lot easier than before. Now, the case materials, bands, and style are characteristics of the models Apple offers. Apple offers four different Apple Watch models, but three of the models—Apple Watch Series 4, Apple Watch Nike+, and Apple Watch Hermès—have the same insides, so they’re basically the same watch. For the purposes of this guide, whenever we refer to the Apple Watch Series 4, that reference also applies to the Apple Watch Nike+ and Apple Watch Hermès. Let’s take a look at the key differences between the Apple Watch Series 4 and the Apple Watch Series 3. These are the things to consider when picking your Apple Watch. The Apple Watch Series 4 is Apple’s top wearable. It’s the company’s biggest upgrade to the Apple Watch yet. Compared to the Apple Watch Series 3, the Series 4 has a bigger screen, faster processor, and many more new features—it also has a higher price than the Series 3. But if you want Apple’s latest and greatest, the Apple Watch Series 4 is what you want. 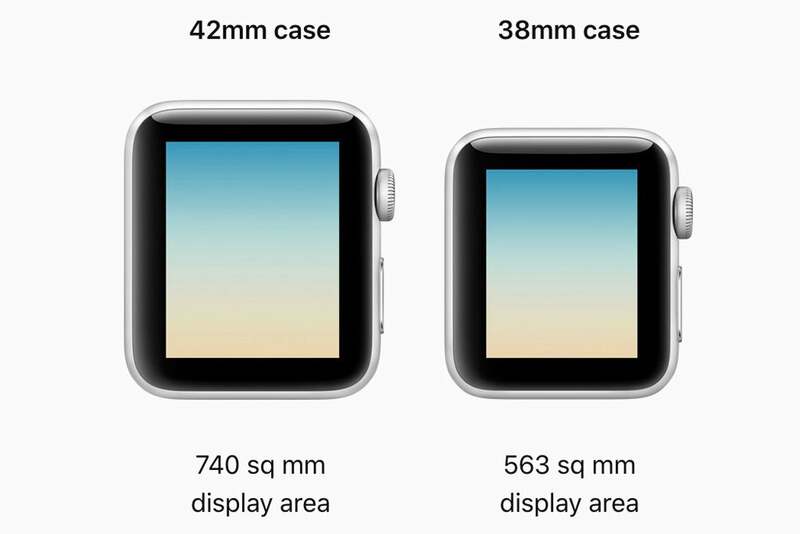 Here are the specifications for the Series 4 case. The two cases are a bit larger than the Apple Watch Series 3 cases. 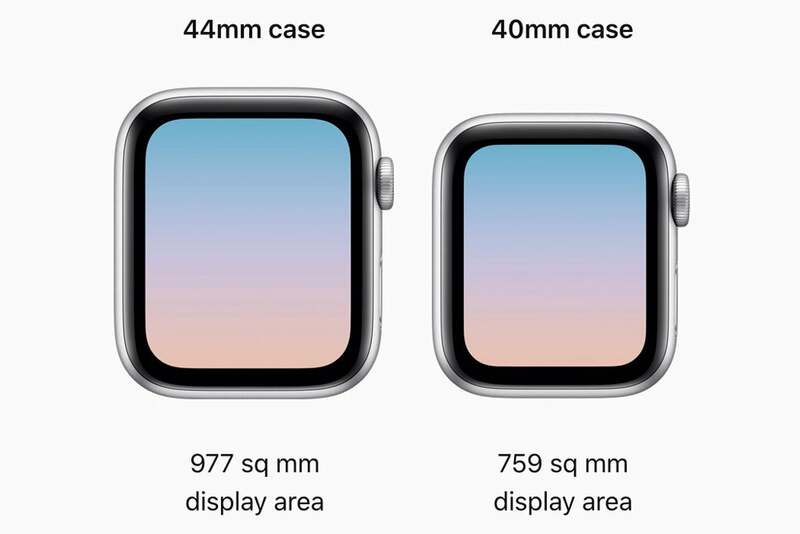 Apple Watch Series 4 case and display sizes. Bigger display. The Apple Watch Series 4 display is 30 percent bigger than the one found on the Apple Watch Series 3. The bigger display makes the Series 4 more comfortable to use. Also, there are watch faces specifically for the Series 4. Electrocardiogram. 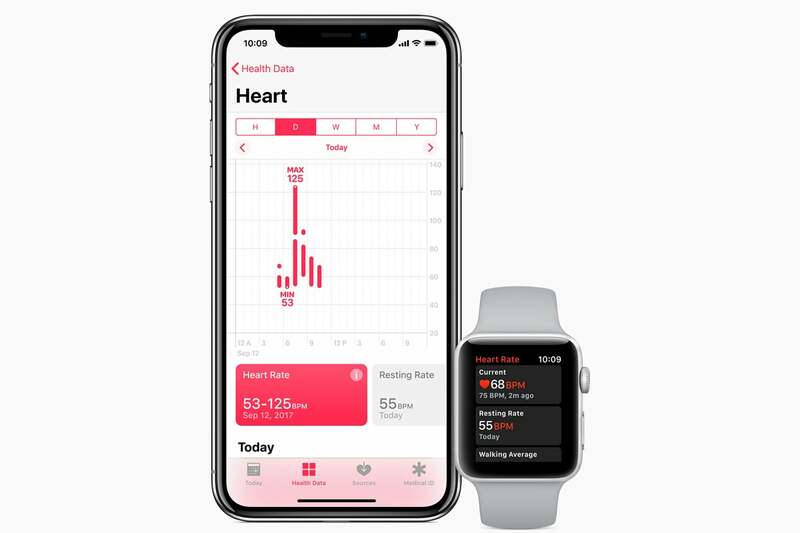 Though it’s not available just yet (Apple said it would be ready in the Fall in a watchOS update), the Apple Watch Series 4 can perform a single-channel ECG. There’s also a new energy-efficient optical heart rate sensor that can be used to detect irregular heart rhythms. Fall detection. The new motion sensors and gyroscope give the Apple Watch Series 4 the ability to detect when you have fallen, and you can set the watch to call an emergency contact. Better activity tracking. The new motion sensors and gyroscope are also used to better track your physical activity. If you like using previous watches to track your workouts, you’ll love the tracking in the Apple Watch Series 4. Faster processor. 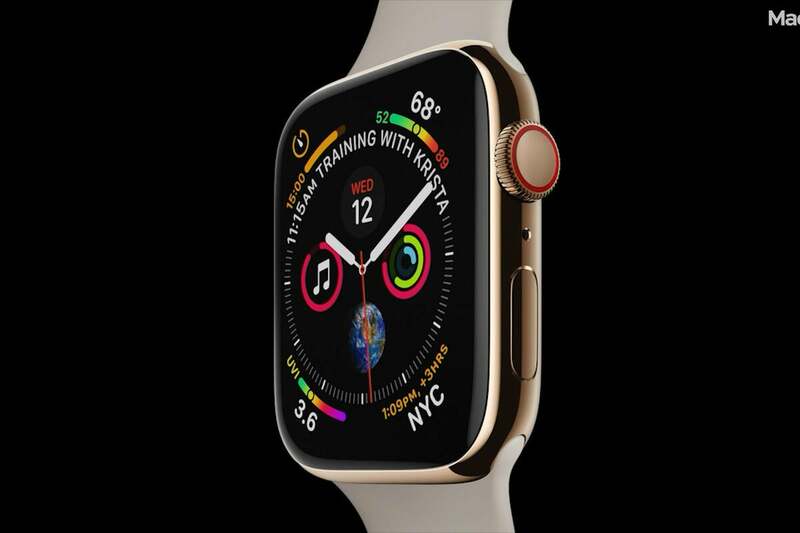 The Apple Watch Series 4 has a 64-bit dual-core S4 processor that the company says is twice as fast as the 32-bit dual-core S3 processor in the Apple Watch Series 3. In the long run, the software for the watch will be designed to make the most of the S4, so you could say the Series 4 is a better long-term investment over the Series 3. Modular Infograph watchface on the Apple Watch Series 4. The Apple Watch Series 4 is an overall vast improvement over previous watches. It’s faster, has a better display, and sports nifty new features. If you’ve put off buying an Apple Watch, this is the one to get. For health-conscious folks, the improved fitness tracking is much more helpful than before. Anyone who is interested in heart health can find immediate use for the improved heart sensor, and there’s also the upcoming ECG feature. Even if you’re more interested in productivity features (watch face complications, walkie-talkie, and more), you’ll find them in the Series 4. No matter what you want to use the watch for, you’ll love functionality of the Apple Watch Series 4 and find it very useful. Released in 2017, the Apple Watch Series 3 had its price reduced when the Series 4 went on sale. 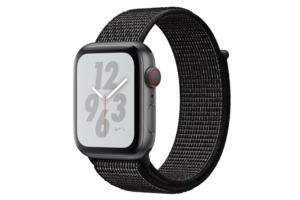 The Series 3 is $120 cheaper than its Series 4 counterpart, and even though the Series 4 has more features for the money, the Series 3 watch is still a great value. Here are the specifications for the Series 3 case. The two cases are smaller than the Apple Watch Series 4 cases. 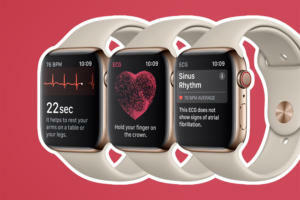 The Apple Watch Series 3 is missing the ECG and fall detection found in the Series 4. Also, it has a smaller display and is a bit thicker. All the key features of the Series 3 are in the Series 4. Built-in cellular. The Apple Watch Series 3 was the first model to support cellular connectivity. 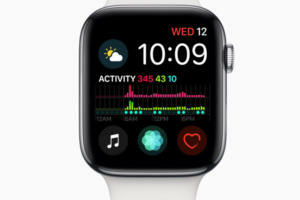 Watch apps can access internet data, and you can stream Apple Music, send texts and make phone calls directly on the watch, with no need of a nearby iPhone. Workout tracking. Starting with the Apple Watch Series 3, Apple strengthen its focus on fitness tracking. You can pair the watch with compatible gym equipment to help track your stats. The watch’s barometric altimeter is designed to better measure elevation changes. For swimmers, the Series 3 is water resistance up to 50 meters. Heart rate monitor. With the built-in heart rate monitor, you can get warnings when your heart rate is surprising low or high. It can also check for and irregular heart rhythm as a result of atrial fibrillation. S3 processor. The S3 processor in the Apple Watch Series 3 provided a much-needed substantial speed boost over its predecessors. Animations and navigation are better than before, and apps launch within a second or two. The Apple Watch Series 3 may not be as full-featured as the Series 4, but it’s also $120 less expensive. If you have an older Apple Watch, the Series 3 provides a significant processor upgrade that drastically changes the Apple Watch experience—it feels like the potential of the device is finally being tapped. If you’re mainly interested in the cellular connectivity so you can, say, do your workout without having your iPhone on hand, then the Apple Watch Series 3 is for you. The workout tracking collects a lot of data that you’ll find useful and can help make your workouts more effective. And you can even stream music while you’re out and about, while leaving your iPhone at home. OK, we should say up front: You don’t have to get the Apple Watch Nike+ if you’re a training athlete. That’s because it’s just like the standard Apple Watch Series 4, inside and out. In fact, the Nike Training Club watch app that comes with the Nike+ can be downloaded to the standard Series 4 watch from the App Store for free. You can even get the Nike Sport Band—the one made of fluoroelastomer and has holes for “breathability”—for $49 at the Apple store. There are two reasons why you might want to get the Apple Watch Nike+ instead of the standard Series 4. Nike watch faces. The Apple Watch Nike+ includes a set of watch faces that are exclusive to this particular watch. Reflective Nike Sport Loop band. This watch band is exclusive to this watch. It’s a lot like Apple’s Sport Loop band, but the Nike version has reflective thread woven through it. It’s not sold separately. Get the Apple Watch Nike+ if you absolutely want a Nike watch band, either the Sport Band or the Sport Loop—especially if you want the Sport Loop, because it’s not sold separately. Or if you absolutely must have a Nike watch face. If those items aren’t of interest to you, you can go with a standard Apple Watch Series 4, download the Nike Training Club app from the App Store, and go from there. It’s essentially the same deal. You can always buy a Nike Sport Band later, and it won’t be a surprise if the Nike Sport Loop bands became available eventually. Like the Apple Watch Nike+, the Apple Watch Hermès is the same watch as the standard Apple Watch Series 4. There’s nothing special about the hardware; it’s the same. 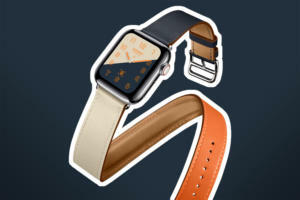 The Hermès watch bands you get the choose from when configuring an Apple Watch Hermès are also available separately, so you can buy a Hermès band and put it on your standard Series 4. There are two reasons why you might want to get the Apple Watch Hermès instead of the standard Series 4. Hermès watch face. This “delightful” face is exclusive to the Hermès watch. Hermès Sport Band. 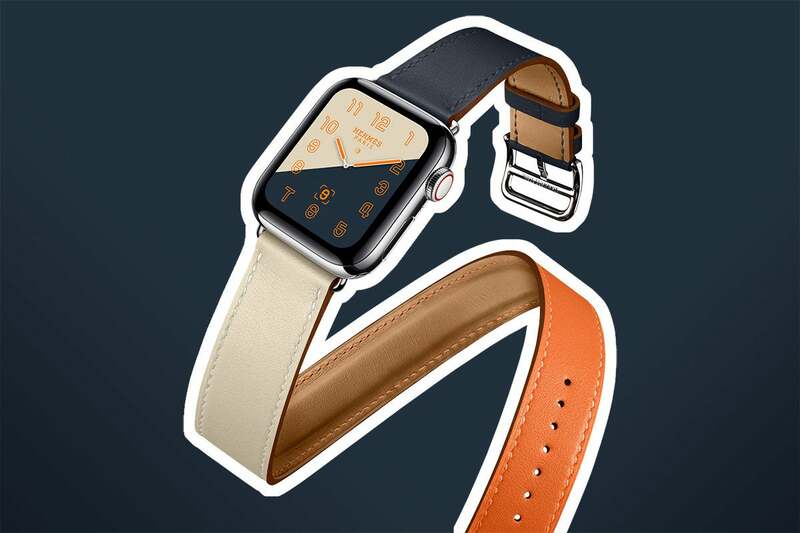 All Hermès watches come with a second band, an orange version of the Apple’s fluoroelastomer Sport Band. Even though the Apple Watch itself is already a status symbol, you can step it up a notch with the Apple Watch Hermès. Get this watch if you want to make a statement about your status and personal fashion.